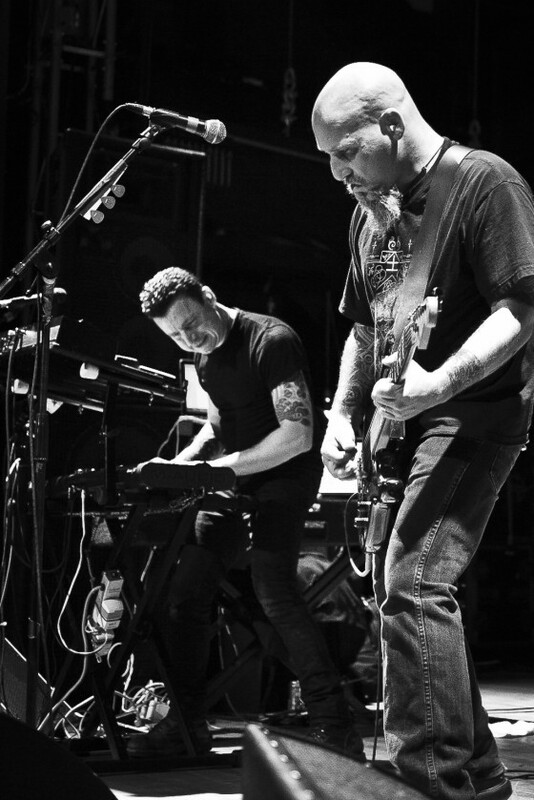 Slowly but steadily, NEUROSIS maintains their infiltration of all corners of the planet with new live performances continuing to be scheduled into 2015. 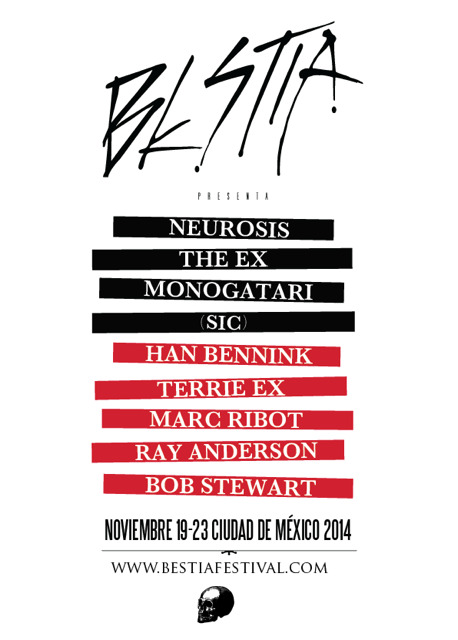 Today, the promoters of the second annual Bestia Festival in Mexico City, Mexico have unveiled the lineup for the upcoming 2014 installment of the gathering, with the name NEUROSIS dominating the list as the fest headliner. The multiple-day Bestia Festival is set to run from November 19th to the 23rd, with performances from The Ex, Monogatari, (SIC), Han Bennink, Terrie Ex, Marc Ribot, Ray Anderson, Bob Stewart and others confirmed. In addition to the concerts, an array of music workshops, film screenings and more will fill the festival grounds. For five days, the venues Teatro de la Ciudad, Cineteca Nacional, Biblioteca Vasconcelos, Estación Indianilla and Museo Universitario del Chopo will host the festival around the city. The program brings the opportunity to see bands and projects that can't easily be seen throughout Mexico, and the promoters strive to create a live experience with high standards in sound and production. Tickets for Bestia Festival will go on sale on September 17th. This new development with Bestia Festival follows other recent NEUROSIS live announcements, including the band’s upcoming performances at the four-day Southwest Terror Fest III: The Western Front, where they’ll headline the main stage on Saturday, October 18th, joined by The Body, Author & Punisher and Sorxe, followed by a concert in Denver the following evening, Sunday, October 19th, with Subrosa, In The Company Of Serpents supporting. Later that same week, NEUROSIS will perform at the second Housecore Horror Film Fest in Austin, Texas with Voivod, Samhain, Corrections House, Eyehategod, Napalm Death, Cattle Decapitation, Author & Punisher and more. 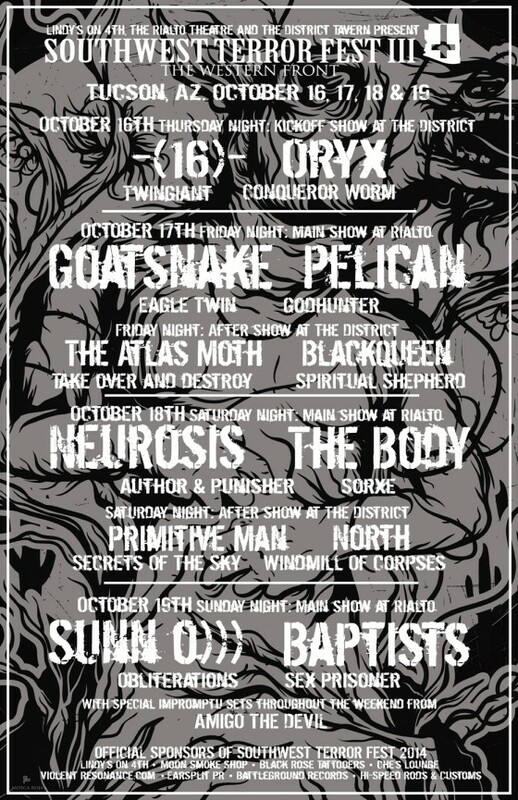 And even more recently, the promoters of the annual Maryland Deathfest in Baltimore will bring NEUROSIS back to their mighty gathering in 2015 where they’ll perform on the final day, Sunday, May 24th, with Amorphis, Anaal Nathrakh, Demilich, Goatsnake, Inverloch, Primordial, Winter, Tombs and more. Additional NEUROSIS news will be leaked in the months ahead. and in the rest of Europe contact lauren@rarelyunable.com.